Focusing on Christopher Marlowe, William Shakespeare, John Webster and John Milton, Martyrs and Players in Early Modern England argues that the English tragedians reflected an unease within the culture to acts of religious violence. David Anderson explores a link between the unstable emotional response of society to religious executions in the Tudor-Stuart period, and the revival of tragic drama as a major cultural form for the first time since classical antiquity. Placing John Foxe at the center of his historical argument, Anderson argues that Foxe’s Book of Martyrs exerted a profound effect on the social conscience of English Protestantism in his own time and for the next century. While scholars have in recent years discussed the impact of Foxe and the martyrs on the period’s literature, this book is the first to examine how these most vivid symbols of Reformation-era violence influenced the makers of tragedy. As the persecuting and the persecuted churches collided over the martyr’s body, Anderson posits, stress fractures ran through the culture and into the playhouse; in their depictions of violence, the early modern tragedians focused on the ethical confrontation between collective power and the individual sufferer. 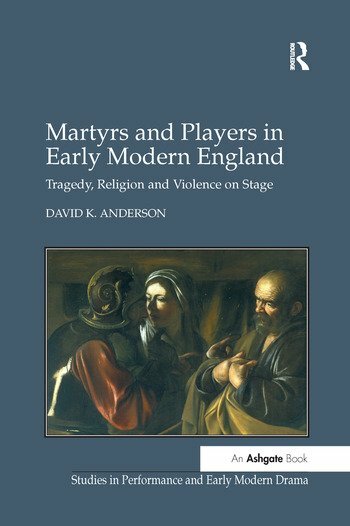 Martyrs and Players in Early Modern England sheds new light on the particular emotional energy of Tudor-Stuart tragedy, and helps explain why the genre reemerged at this time. David K. Anderson is Assistant Professor of English at the University of Oklahoma, USA. He hails from Ontario, Canada.